In these past few weeks, dressing has been something of a delicate balance. The weather has been turning cooler, the evenings drawing in, and with the heating not yet in full winter mode, at times it has felt pretty chilly. On the other hand, the autumn season still feels quite new. The sun has still been gracing us with its presence most days, and while I have packed away my floral maxi dresses, it just doesn't feel right to be bundled up in loads of layers either. One item I have found myself reaching for time and again during this tricky transitional period is this soft, chunky knit grey cardigan from River Island. I've found it so useful to throw on over jeans and a t-shirt whenever I've started to feel a chill in the air, whether I'm at my desk working or out and about. For some reason I seem not to have had many cardigans in my wardrobe for the past few seasons and I have no idea how I managed without them! As this grey one is working overtime, I definitely want to look for a couple more to see me through the autumn and winter months. 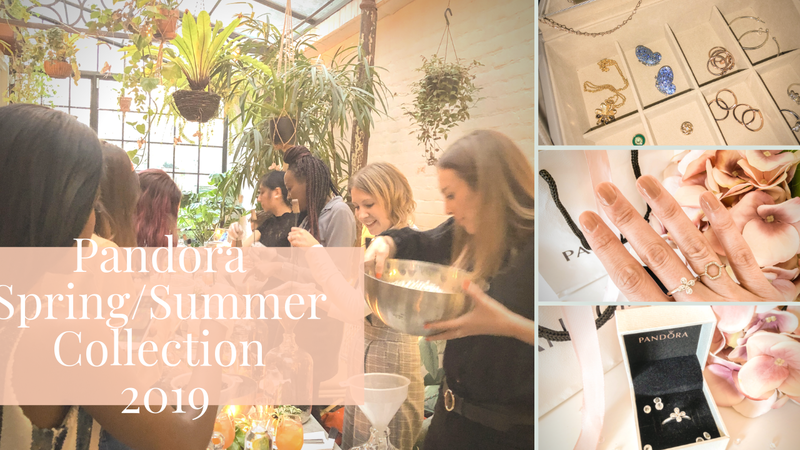 They're perfect for adding a cosy layer of warmth over t-shirts, blouses and dresses, and when it gets really cold, I fully intend to add them over polo neck jumpers as well! 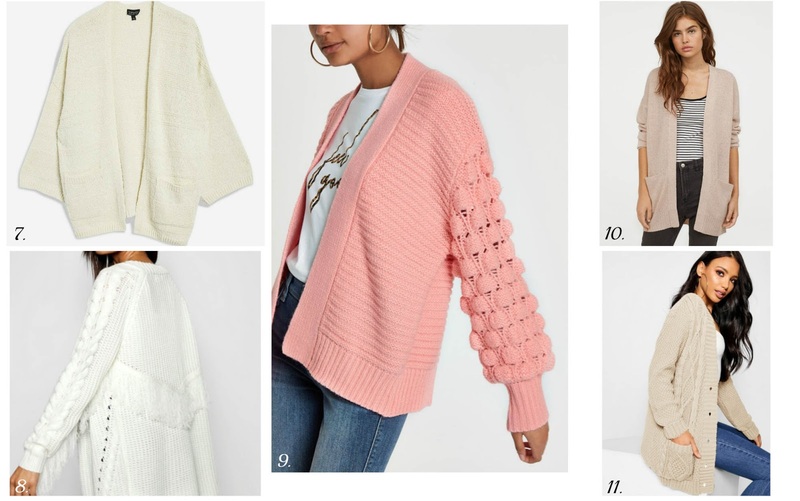 As you know, I do like to spend a fair portion of my spare time browsing clothes online, so I've put my scrolling to good use and selected a few of my favourite high street cardigans to share with you here. Let me know which is your favourite below. Are you a cardigan wearer? Some links may be affiliate links. This poses no extra cost to you, the customer. All opinions, as always, are my own. Love the cute look with the denim skirt! Oh these cardigans are so cute! I love how you teamed yours with a denim skirt! such a pretty look Kate!!! I am a cardigan wearer, but currently only have one left in my wardrobe, and that one is burnt orange. A beautiful color, but not very versatile, so I need a more neutral addition. So many cute cardigans! I really started embracing them the past few years and have a great collection now, but there's always room for more, haha! Your cardigan is super cute!! Also love all of your picks!! 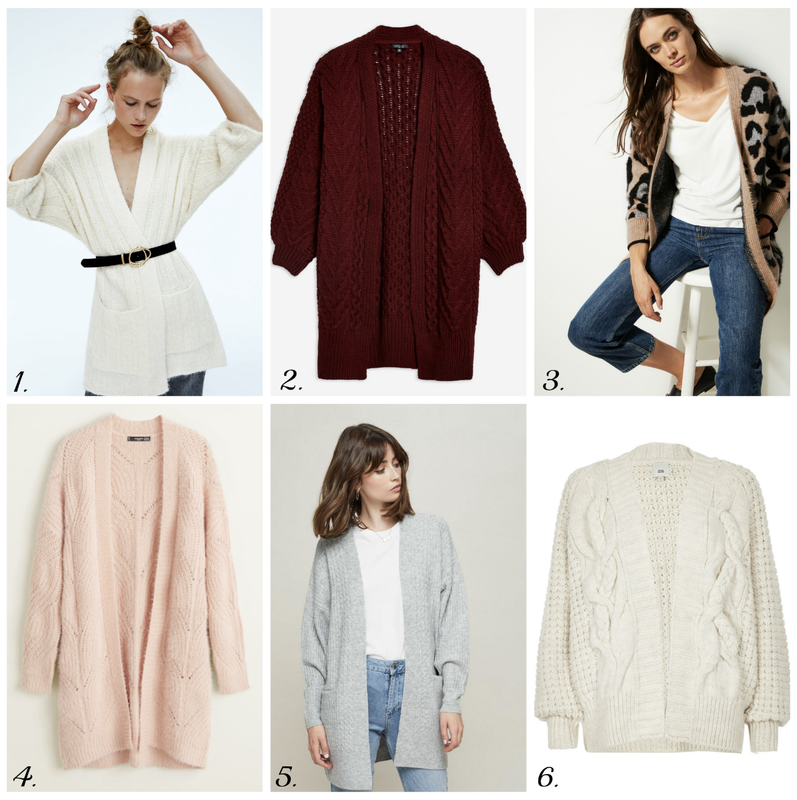 I absolutely love all of these cardigan options! I love this photo you took! You look amazing! Thanks for these cardigan picks, the maroon one is my favorite! You look absolutely stunning in this outfit! Love everything about it, the boots, the cardigan and especially the skirt. And you are blessed with legs that goes on forever! So many cute sweaters for fall! Love the leopard one best!